1886/87 (Cambridge and Craven University Student): Ernest Arthur Gardner (1862-1939). Gonville & Caius. First Cambridge student. 1894/95 (Craven University Student): Robert Carr Bosanquet (1871-1935). Trinity. Part 2, 1st (1894). Admitted 1892/93. for the purpose of facilitating advanced study or research away form Cambridge in the languages, literature, history, archaeology, or art of ancient Greece or Rome, or the comparative philology of the Indo-European languages. The studentship shall be of the annual value of £200 and shall be tenable for one year, one student being elected annually at such time as the University may from time to time determine, but a Craven student shall not be eligible for re-election on more than two occasions. 1887-90: Ernest Arthur Gardner (1862-1939). Gonville & Caius. Director: 1887-1895. Previously Craven University Student (1886/87). 1891/92, 1892/93: William Loring (1865-1915). King's. Part 2, 1st (1889). Admitted 1889/90 (Cambridge Studentship). 1893/94: Edward Frederic Benson (1867-1940). King's. Part 2, 1st (1891). Admitted 1891/92; 1892/93 (Cambridge Studentship). 1895/96, 1896/97: Robert Carr Bosanquet (1871-1935). Trinity. Part 2, 1st (1894). Admitted 1892/93. Previously Craven University Student (1894/95). 1898/99, 1899/1900: John Cuthbert Lawson (1874-1935). Pembroke. Part 2, 1st (1897). 1901/02: John Hubert Marshall (1876-1958). King's. Part 2, 1st (1900). 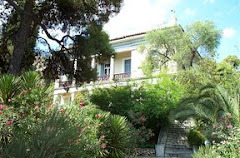 Admitted 1898/99; 1900/01 (Prendergast Greek Studentship). 1903/04: Alan John Bayard Wace (1879-1957). Pembroke. Part 2, 1st (1902). Admitted 1902/03 (Prendergast Greek Studentship). The annual sum of £40 shall be paid to the managers for the time being of a fund to be called the Craven Fund, by whom grants may be made from time to time for the furtherance of research in the languages, literature, history, archaeology, and art of ancient Greece and Rome, and the comparative philology of the Indo-European languages. 1887/88: Montague Rhodes James (1862-1936). King's. Part 2, 1st (1885). £40, 'for the purpose of archaeological work on Cyprus'. 1896/97 (Craven Fund): Frank Russell Earp (1871-1955). King's. Part 2, 1st (1894). £40. 1898/99: Clement Gutch (1875-1908). King's. 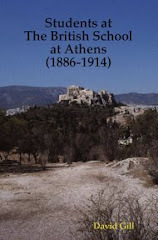 Part 2, Greek and Roman Archaeology, 1st (1898). 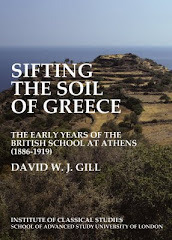 £40, ‘to carry out the exploration of certain necropoleis in the Greek Cyclades’. 1901/02: Robert Carr Bosanquet (1871-1935). Trinity. As Director, £90, ‘to be used for the expenses in excavations at Cyzicus’. 1905/06: Henry Julius Wetenhall Tillyard (1881-1968). Gonville & Caius. Part 2, 1st (1904). 1903/04: Richard Macgillivray Dawkins (1871-1955). Emmanuel. Part 2, 1st (1902). £50. 1912/13: Max Ludwig Wolfram Laistner (1890-1959). Jesus College. Part 2, 1st (1912). £40.